In these tough economic times we are always looking for ways to save money. Howell Electrical recommends the following two ways that not only help the environment but may also help you save money on your utility bills! During the Winter: Ceiling fans are commonly linked with warm weather therefore many people don’t realize that ceiling fans can also help warm up a room in the winter months! The ceiling fan direction in winter should be rotating clockwise or reverse. Warm air rises and gets trapped near the ceiling so when the ceiling fan direction is in reverse mode it circulates the warm air from the ceiling to the floor helping take the chill out of the air. Without a ceiling fan the warm air would continue to be trapped near the ceiling and the floor level would continue to stay cold. The reverse mode only works if the fan is on low; if you have the fan on a higher speed you will create a wind chill effect that you don’t want since it is already cold. Some ceiling fans now come with a wall or remote control that has a forward/reverse option so you can change the direction of the fan with just the push of a button. During the Summer: On hot and sticky summer days nothing can beat the cool breeze you feel from a ceiling fan! A ceiling fan’s direction in the summer should be rotating counter clockwise or forward, on high, to produce a wind chill effect by the downward airflow. The thermostat won’t actually change but the room will feel several degrees cooler due to the wind chill factor. You can save on air conditioning bills by placing ceiling fans throughout your home. We have all come across a bedroom, closet, or bathroom with a light that has been left on. More times than we would like to admit, that light has been on for hours and quite possibly days if it is a low use room such as a closet. 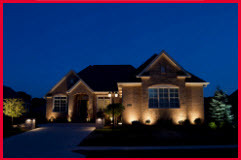 A great solution to keeping these lights off when not in use are motion activated light switches. They come with shut-off timers that you can set for 5, 10, 30 minute and other time limits depending on the switch you purchase. A convenient feature is the lights turn on as soon as you enter the room. In high traffic rooms, these motion switches are not as effective, but there are many low traffic rooms where these switches will be beneficial and can save you money while helping lower your carbon footprint. When designing for new construction, electrical needs should be considered from the initial planning stages. 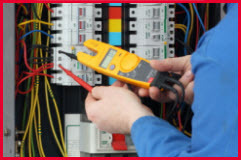 Howell Electric has years of experience in wiring homes and offices and will properly plan your electrical system to ensure you’ll have the power you need and want! 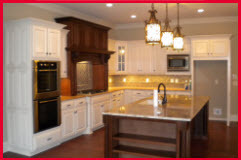 Remodels and additions allow you to alter your current home or business to meet the changing needs of your family or office staff. Howell Electric will help you determine the power demands of the new space and the devices you will use in it, safely and reliably. 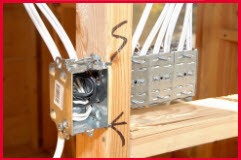 Troubleshooting can be very complicated and frustrating when it comes to the electrical wiring system in your home or business. When you call Howell Electric, our licensed electricians are trained to find and fix the problem in an efficient and timely manner. You can call us 24/7 for Emergency Service. Howell Electric is your trusted choice for all your Electric needs whether it is for regular scheduled service, or when disaster strikes we will be there to help you through it.